Most dwarves are renowned for their distrust of magic, and for their skill as axe-wielding warriors and blacksmiths. They are skilled miners, and produce vast amounts of valuable gems, metals, and crafts to trade with other races. They are also skilled engineers and builders of stone. They trade mostly in finished goods, and the quality of their workmanship allows them to charge more than similar goods maid by other races. Their endless wars against the orcs, goblins, ogres, giants, and similar evil races help keep down the numbers of those fecund species, but have also contributed to the decline of the dwarves own numbers. Dwarves are omnivorous, enjoying a wide variety of foods, but they have a preference for meat. Hill and mountain dwarves keep cattle, fowl, goats, pigs, and sheep, allowing them to graze on the surface. Those who live deeper underground keep giant lizards and giant beetles. When possible, dwarves grow wheat, rye, and barley close to their stronghold and store it in underground granaries. They may buy large quanties of grain from other races. In the deep Oerth they grow fungi instead, breeding a wide variety of flavors. They also make use of vegetables in their cooking, adding flavor and variety. Dwarves dislike spicy or heavily seasoned food. 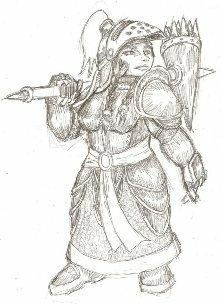 There are several different dwarven subraces, including hill dwarves, derro, frost dwarves, gray dwarves (duergar), and mountain dwarves. Dwarves average four feet in height, with squat, broad bodies. Male dwarves grow thick facial hair. It is often a sign of extreme sadness and mourning for a dwarf to shave his beard. Dwarves live, on average, for about 350 years. Dwarves traditionally wear wool trousers, a belted tunic of linen, and a hooded cloak. Their boots are heavy, usually made of leather. They favor earth tones contrasted with checkered patterns like those of the Oeridians. They enjoy leather, often festooned with as much jewelry as they can carry. Dwarves normally dwell in strongholds in the hills and mountains, usually partially or entirely underground. Most dwarven settlements are constructed around profitable mines. Their cities are huge works of art carved into the solid rock. They can stand for millennia without maintenance. Dwarves prize wealth, and are vulnerable to a mental illness known as gold-fever where their desire for the metal actually consumes their minds. Those leaders who are unable to gift their loyal followers with treasure, as honor demands, are surely cursed with gold-fever. Dwarf society is divided into clans. Members of a clan are normally all related by blood, and every member of a clan typically practices the same trade. One clan might be made up of blacksmiths, another weaponsmiths, another miners, another politicians, and another merchants. There are also often military clans, which depending on the size of the stronghold may have specialties such as animal masters, hearth guards, and sharpshooters. In smaller strongholds, a clan may practice multiple crafts. Individual dwarves will nearly always specialize in a single trade, however. They begin their apprenticeships by the age of 26 (usually a few years earlier than that), which last from 10-12 years, but which may last as long as a quarter century for extremely challenging trades. Dwarves become adults at the age of 50, at which time their apprenticeships must end. Sometimes they are apprenticed to other clans or even in other communities, though this is rare; more commonly, they are apprenticed to their great-aunts or great-uncles. Children are kept within the clan's quarters, and dwarves rarely see children of other clans. Dwarven clerics often have to leave their home clans in order to assume their calling, though clerics of gods of specific trades may be part of the associated clan. For example, in a given stronghold only members of the merchant clan might worship Vergadain. The distinction between a clan and guild in dwarven society can be a hazy one. 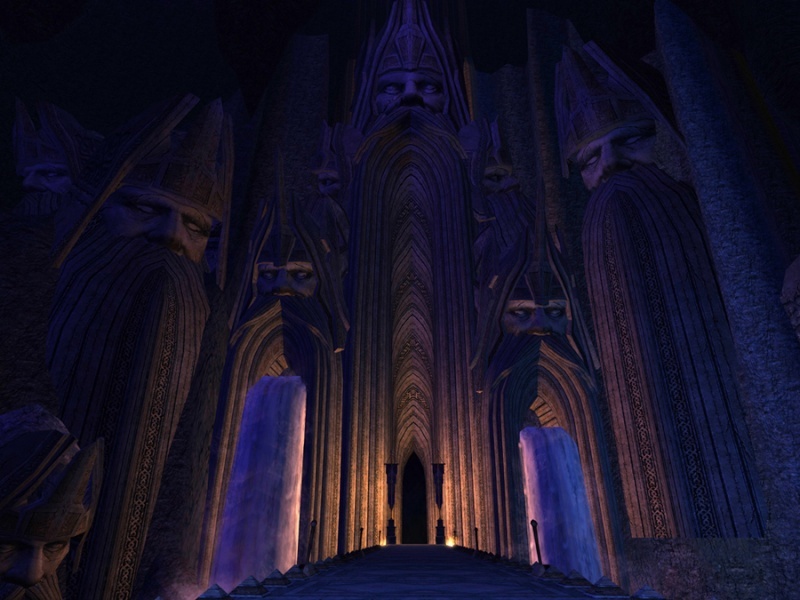 Essentially, the guild is the body within the clan that regulates the standards of dwarven crafts. The Guild of Bakers decides the appropriate weight, price, and ingredients of the bread baked by the baking clan, for example. Dwarves who wish to take up a profession other than the one they were born into may attempt to marry into another clan, or they may conceivably found a new clan. Clans feed and care for their members, and in return they expect them to work hard for the clan's benefit and reputation. Those who do not pull their weight will be ostracized, prevented from working, and have their tools taken away. 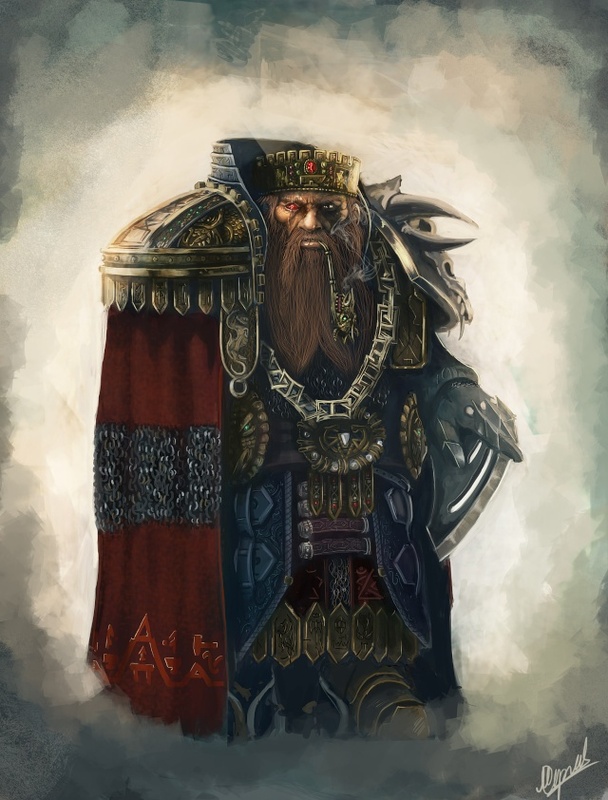 Dwarven loyalties lie with their immediate families first, then to their clans, then to their strongholds, and then to the allies of their stronghold. A typical family may number 30-60 individuals of at least five generations, and a large clan might include a hundred or more members. Dwarves speak their own tongue, Dwarven, and the trade language of the Underdark, Undercommon. Those who deal regularly with other races know the Common tongue, and dwarven warriors often know Goblin in order to better interrogate and spy on their enemies. Many non-dwarven races have adapted the Dwarven alphabet to write their languages, including gnomes, bugbears, goblins, hobgoblins, and orcs. Terran, the language of earth elementals and xorn, uses the Dwarven alphabet as well. The alphabet is composed mostly of straight lines, the better to carve it into stone. The few curved lines in Dwarven letters represent sounds that are difficult for dwarves to pronounce, or those that have been borrowed from non-dwarven languages. Sentences are separated by diagonal slashes (//) and pauses are represented by a pair of horizonal lines (=). Questions are represented by a diagonal cross (X), representing a divergence of possible paths. A circle is used to represent emphasis; this is because a circle is comparatively difficult to carve, so a sentence adorned with one is one of particular note. The Dwarven language consists mainly of low vowels and hard consonants; it makes a droning sound when spoken. The Dwarven language has remained essentially unchanged for millennia, though the duergar have altered their language intentionally in order to help preserve their secrets. The derro language, Derrosh, is a combination of Dwarven and Suloise. Dwarves are given their first names by the clan matriarch the day after they are born, in a ceremony called the Rite of First Naming. Their fathers give them another name when they begin their apprenticeships. They choose their own names when they graduate from their apprenticeships. When they marry, a dwarven husband and wife chooses a name to share, known as their "hearth-name." Dwarves use family names as well, and typically recite the names of their ancestors back several generations when they encounter new people. Dwarves who are exiled from their homes often refuse to name their former homes. Derro: The descendants of enslaved dwarves and humans magically crossbred by the ancient Suel. 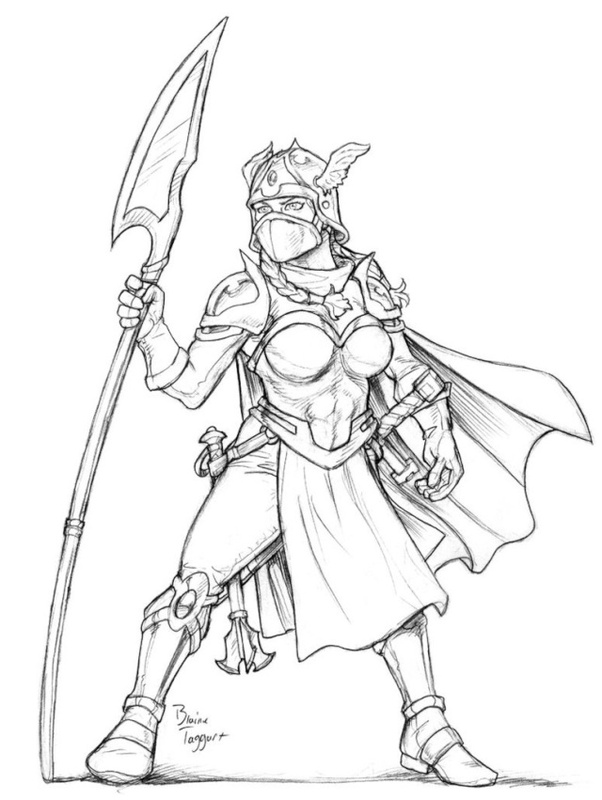 Derro are terrors of the Underdark, and their society is completely unlike that of true dwarves. 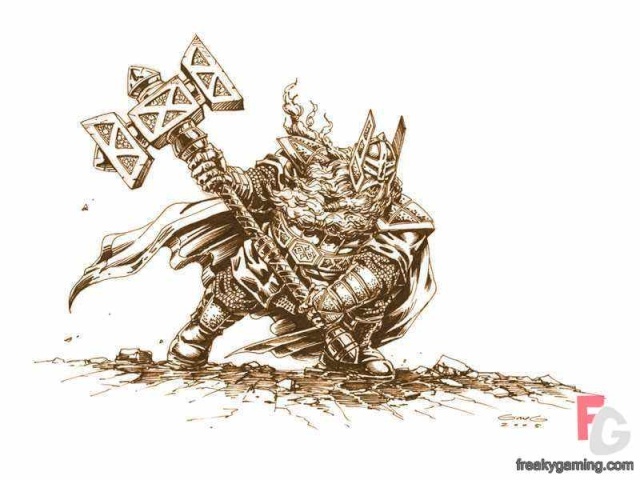 Duergar: Also known as gray dwarves, these evil dwarves wear dull clothing and accouterments. They average 4 feet in height and are emaciated compared to other dwarves, weighing about 120 pounds. 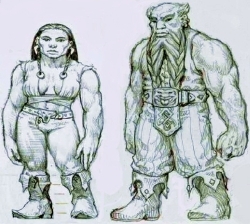 Male and female duergar are both usually bald, and those who are not will typically shave their heads. They can psionically enhance their size and turn invisible. Most are lawful evil, though they have neutral tendencies. 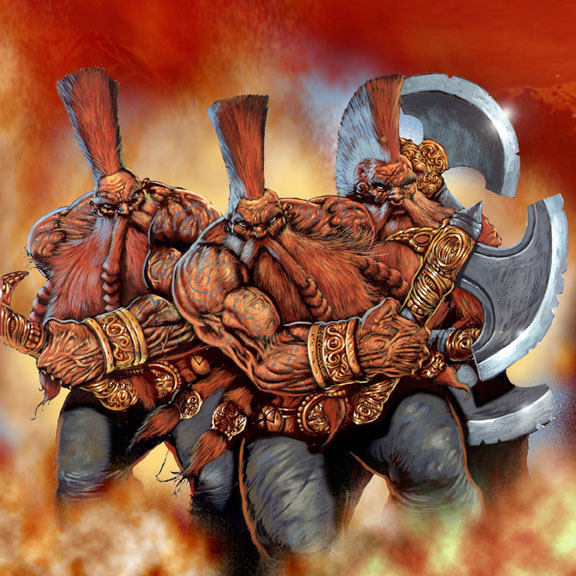 Many believe they were the first of all dwarven races, though they have a common belief that they voluntarily exiled themselves to the Underdark after the gods of the other dwarves betrayed their patron, Laduguer. Their society remains much like that of other dwarves, though grimmer and harsher. Frost dwarves: Extraplanar dwarves found on the Iron Wastes of the Infinite Layers of the Abyss. They were once duergar enslaved by frost giants. 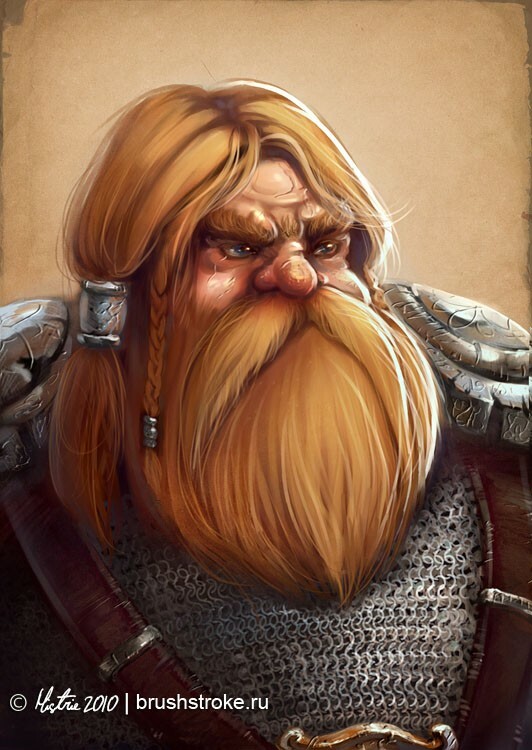 Hill dwarves: Considered the "standard" dwarven race, hill dwarves are the dwarves most commonly encountered by other races. A typical hill dwarf stands 4 feet in height and weighs about 150 pounds. They have deeply tanned or light brown skin, ruddy cheeks, and hair of black, gray, or brown. They are usually lawful good. The hill dwarves claim they have always dwelled in the hills, and other dwarven races are their descendants. Mountain dwarves: These dwarves live deeper underground and have fairer skin than hill dwarves. They stand about a half a foot taller than hill dwarves. They have paler, ruddier skin, and weigh about 170 pounds. Most are lawful good. The mountain dwarves believe they are the first dwarves and all other dwarves are descended from them.